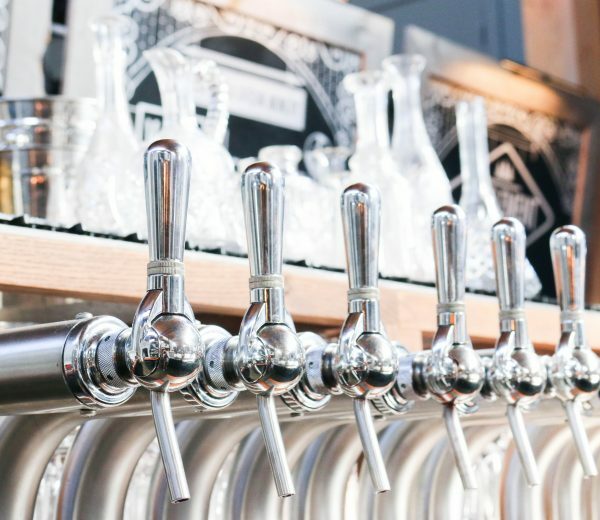 With all the breweries and the cities obsession with craft beers, you’d be forgiven for thinking that Vancouver’s all about the hops, rather than the grapes. 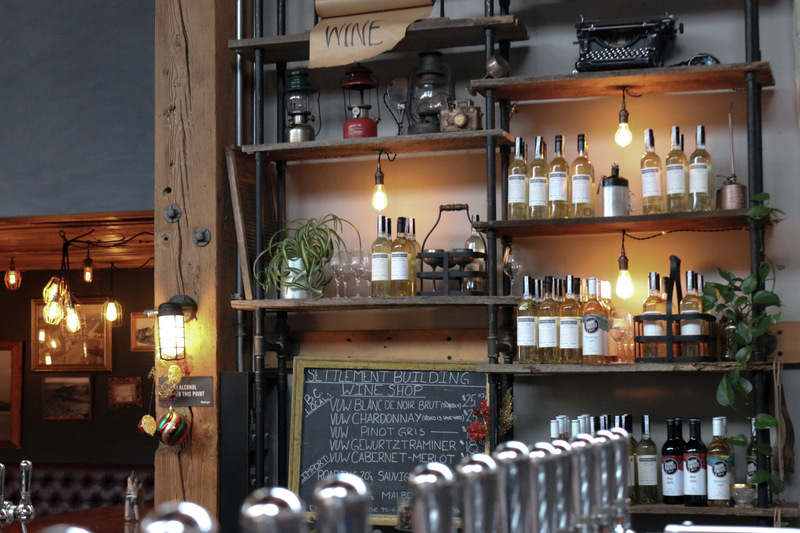 But that’s where Vancouver Urban Winery steps in – it’s urban, it’s in Vancouver, and…it’s definitely a winery. 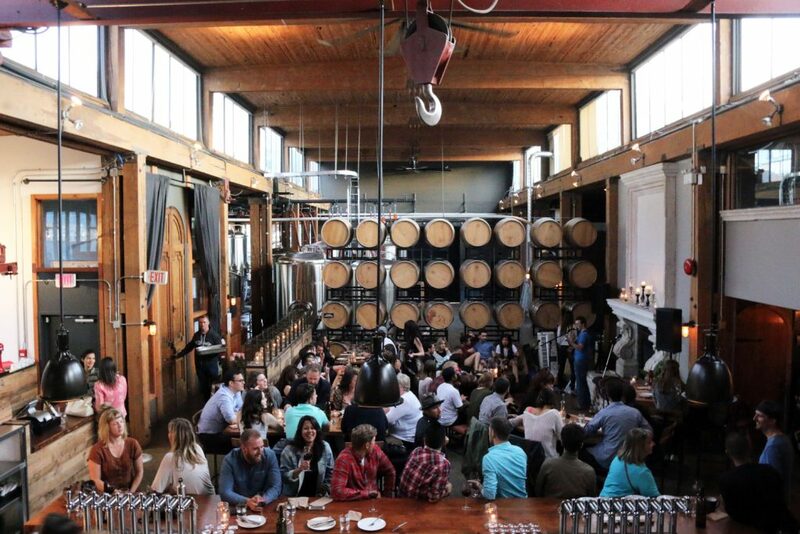 Having opened its doors in a former steel warehouse in July 2012, this beautiful, large expanse of a venue produces, bottles, and sells its own 100% British Columbian wines under the Vancouver Urban Winery label, whilst simultaneously offering visitors the chance to try an extensive range of 36 delicious wines on-tap. 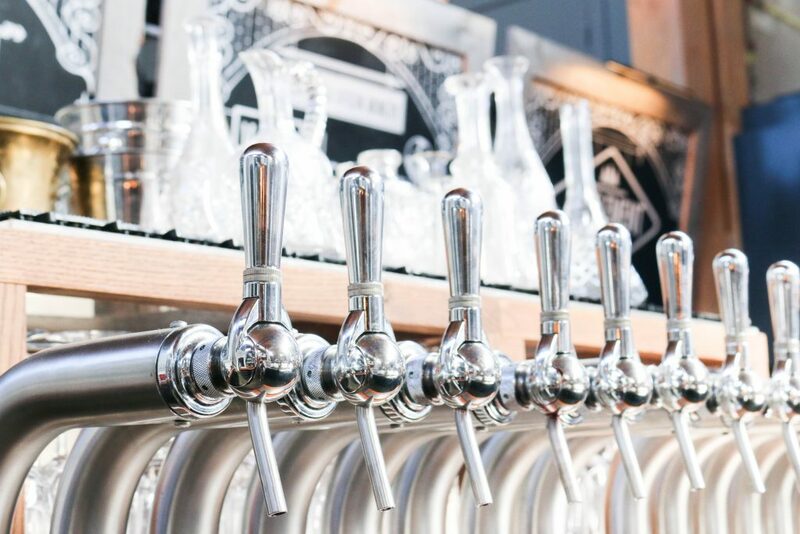 The venue also offers some fantastic local beers from Postmark Brewing (of course), and serves surprisingly sophisticated, and elegant food from Belgrade Kitchen. 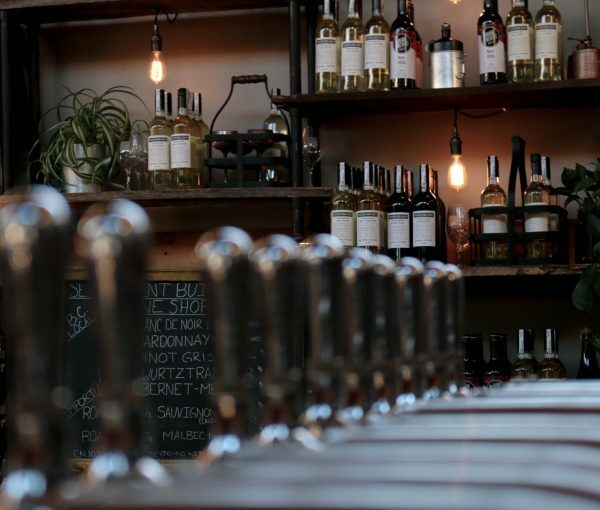 The wine-on-tap feature of the winery is pretty unique: all of the 36 wines on offer are kegged on site by a company known as FreshTAP, created by entrepreneurs Steve Thorp and Mike Macquisten. This is a new form of serving wine, whereby the wine is pumped from pressurised tanks into stainless steel kegs (which are almost 20 litres), then kept under nitrogen to stop oxidation, before being drawn out into the glass via a tap – fresh as if the bottle had just been opened. 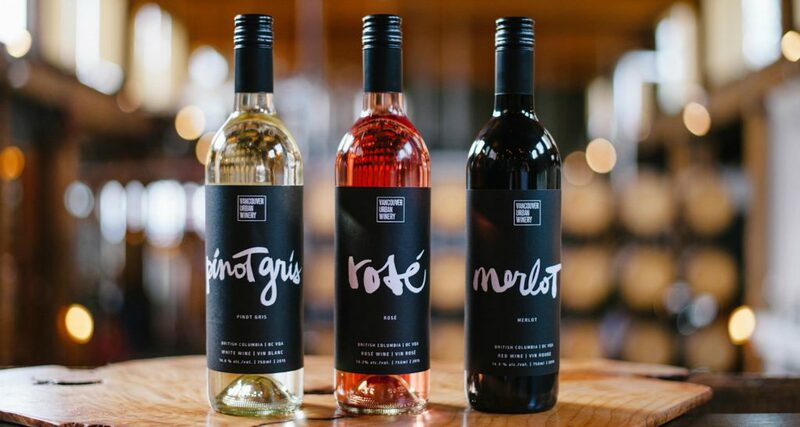 So rather than having to open an expensive bottle of wine >$80 just to try it, you can order a glass – which is pretty perfect for exploring BC wines. 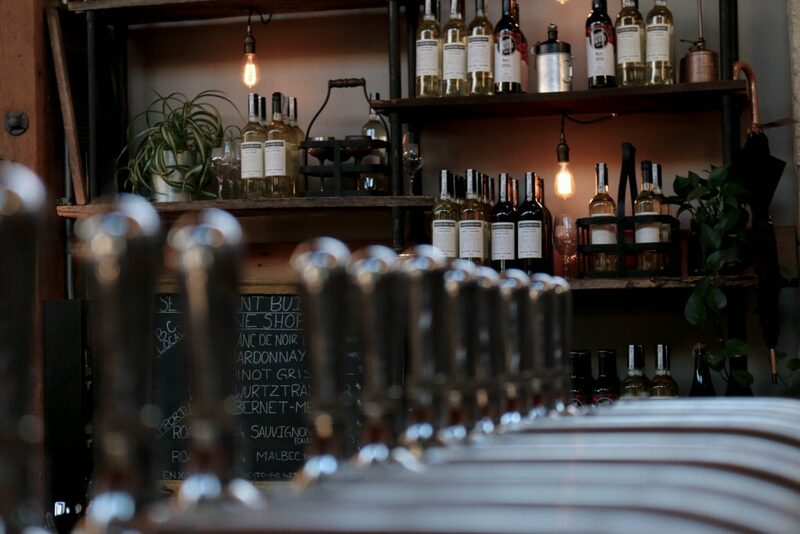 Located in the heart of Railtown, Vancouver, just a few blocks from film-set-central historic Gastown, this 7,700 square feet winery is definitely urban in its steely, exposed brickwork interior, yet homely and warm upon arrival. Already bustling with people on a Thursday evening at 6pm, with a hefty queue forming, its popularity as a regular haunt for locals is plain. We arrived and were greeted by the gracious servers before being taken to our table for two where we sat down to enjoy a relaxed and informal three course meal with wine pairings. Open for brunch, lunch, and dinner, the menu is a somewhat hybrid of traditional European-Canadian fare, featuring the likes of pizzettes and spaghetti, green chickpea and avocado hummus, risottos, pates, salami and sausage boards. To start, we had an appetiser to share -the candy cane beet salad, served with pickled ruby beetroots, cashew cheese (which was delicious), sunflower seed pesto, candied walnut soil, and seasonal greens. Surprisingly pretty on presentation, this tasted wonderfully fresh and wholesome, yet satisfyingly rich given the walnut and sesame flavours. To drink, we were recommended a pairing of VUW Reliance White. 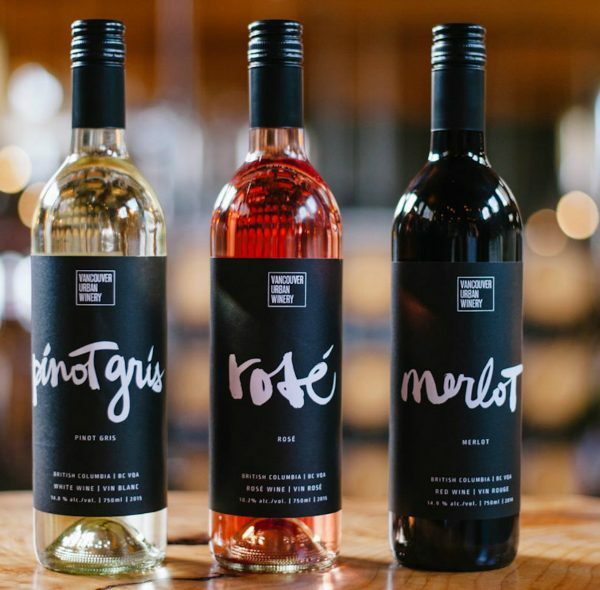 Made in Vancouver, this wine was grown on Stoneboat Estate Vineyard’s heritage vines located on the lower Black Sage Bench of Oliver in Okanagan. It’s a Northern Italian-style, alpine blend of Pinot Blanc (80%) and Müller-Thurgau (20%) grapes with a lovely refreshing palate of pear, apricot, creamy and rich lemon curd, with subtle notes of tarragon. For the mains, we had the halibut risotto and shrimp spaghetti nero. The risotto was a decadent plate of creamy, oozy risotto with flakes of meaty halibut, BC salmon, prawns and topped with fresh greens and a mysterious yet delicious salty, egg yolk crumble. Warming and filling, this was fantastic and paired beautifully with the Sperling ‘Natural Orange’ Vidal. An unusual Orange wine, given its colour by way of being fermented without commercial yeast and finished without filtration, fining or artificial preservation, it’s a deliciously flavourful, almost hops-like wine. A meaty yet refreshing drink to accompany the rich risotto very well. Meanwhile, my guest had the shrimp spaghetti nero, the manager’s favourite, which was equally delicious. Arriving as a plate of thick, black squid ink spaghetti mixed with Postmark IPA chorizo, jalapeño pesto, and topped with herbed bread crumbs, this went equally wonderfully with the Stag’s Hollow Albariño. Another wine from the Okanagan wine, this elegant, aromatic wine has a fruity sweet notes, with undertones of sage and a solid, dry, minerality. For dessert, we had the lemon poppyseed cookie. Definitely more than your average cookie, this was a mini-saucepan of warm, dense, lemon poppyseed cake topped with hot blueberry compote, sliced almonds, lemon curd semi freddo and micro basil. Delicious in and of itself, it was all the better when paired with the Seven Directions Rosé from West Kelowna. Crisply dry and more like a Provence rose, given its salmon pink hue and minerality, this was a surprisingly light finish to our meal. Despite being full after all that wonderful wine and food, we were still keen to try the local beers that the manager so recommended. We began with the ‘Could you be more Pacific – Juicy Pale Ale’ with 5.0 ABV. Sunny, lively, and hazy, this cloudy ale gets its name from the generous amount of El Dorado hops used, which gives it a luscious tropical fruit-citrus aroma and flavour. Surprisingly light and refreshing, unlike your average IPA, this is the perfect summer’s day beer. We finished with the ‘Pineapple Ale’ – which was pineappley indeed – as well as bright, fragrant, and fruity. With a 5.2 ABV, it was a little heavier, but no less appropriate for summer drinking. 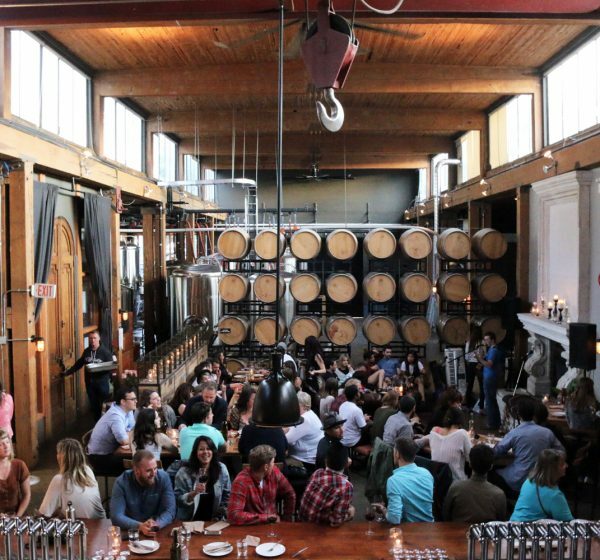 We left the winery feeling excited at having discovered this cool and trendy place in Vancouver. With extremely reasonable prices, brilliantly friendly staff, and a spacious, modernist, yet ironically historic space, this is definitely a venue we will be returning to – and recommending to others.